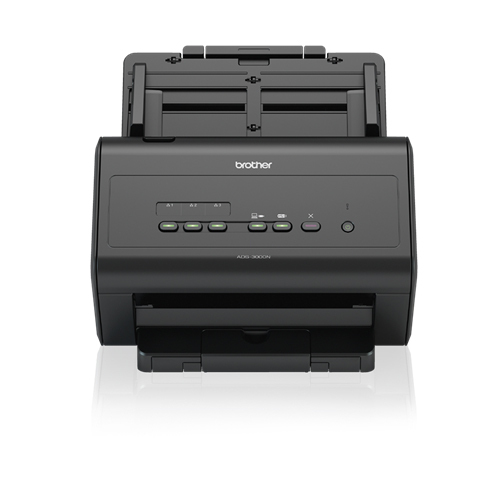 Scan up to 50 pages per minute with the easy-to-use ADS-3000N scanner. 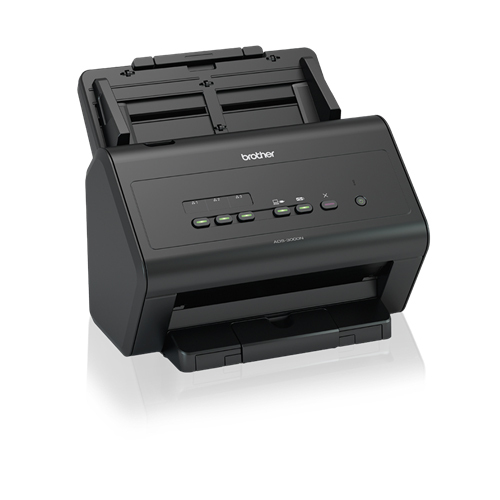 A dependable office essential for businesses that have high-volume scanning needs. The ADS-3000N scans up to 50 pages per minute and mixed batches of receipts, extra-long paper and multi-page contracts to 2-sided A4 documents can be scanned with ease. Supporting both Windows and MacOS operating systems, the ADS-3000W can easily be integrated into your current workflow systems. With a comprehensive bundle of premium software, you can make your scanned documents easily editable. 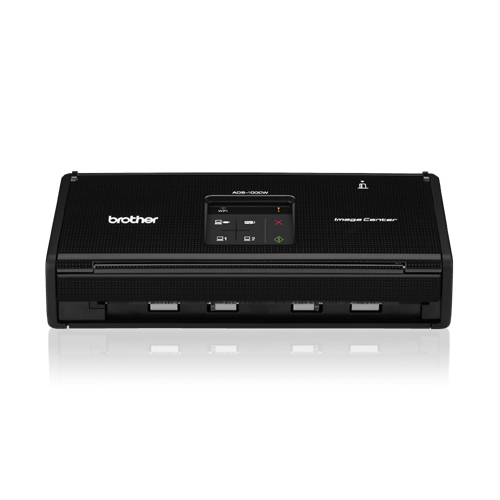 Offering true network capability with no need to install software at multiple location points, the ADS-3000N network scanner allows documents to be scanned directly from the machine to multiple devices. With one simple press of a button, scans can be quickly and easily shared across teams and departments; improving workflow efficiency and increasing productivity. 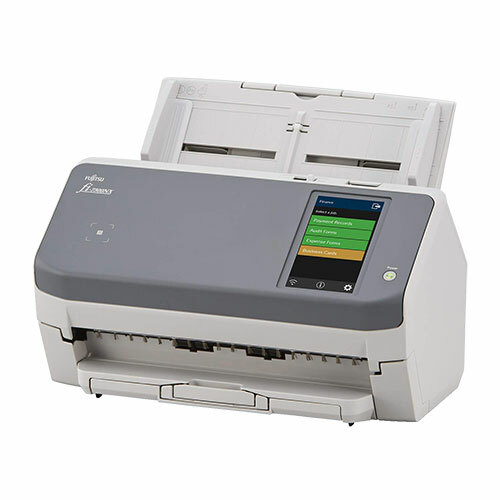 For quick and easy scanning, the keys on the ADS-3000N can be easily programmed to instantly send scanned documents to pre-selected destinations, scanning directly to departmental folders, frequently used email addresses or OCR (Optical Character Recognition) software, limiting error and reducing staff training. 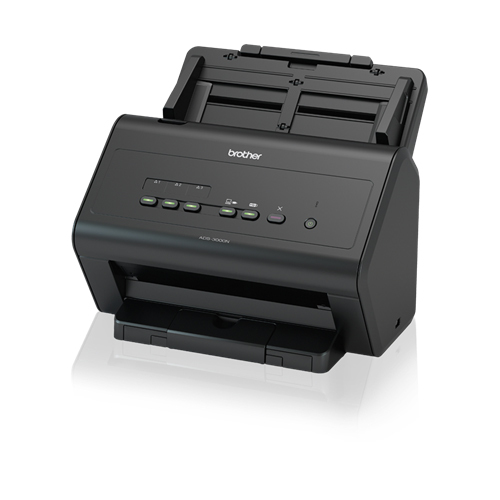 From 2-sided A4 and mixed batches of business cards, receipts for expenses to multi-page documents and extra-long paper, the ADS-3000N can easily manage the paper through the Automatic Document Feeder (ADF). This system uses sound waves to identify potential misfeeds. The paper pathway is automatically suspended and the user alerted if an irregular signal is detected, reducing the risk of damaged documents and lost data. This advanced system manages incoming bulk paper jobs so only one sheet is processed at a time, for outstanding reliability when scanning a variety of document types and weights. Physical dimensions 12.1" x 10.2" x 9.8"
ADF Feeder Paper Size Width. 2"
ADF Feeder Paper Size Length 196"
Fast Scan Speeds. 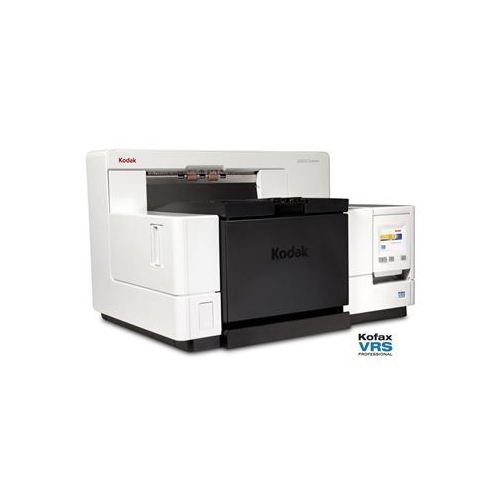 Scans single and double-sided materials in a single pass, in both color and black/white, at up to 40ppm. Flexible Connectivity. Built-in wireless and Gigabit Ethernet networking and USB 2.0 interface for local connectivity. 3.7" Color Touchscreen Display. Features 48 programmable shortcuts for one-touch scanning to common destinations. Enables direct scanning to a variety of cloud applications including GOOGLE DRIVE, EVERNOTE, BOX and more. Advanced Security Features. Enterprise Security (802.1x), network user authentication and corporate email address lookup via Active Directory (including LDAP).  Integrated Image Optimization Feature. Including hole punch removal, background removal, blank page removal, deskew support, and more. Advanced Scanning Features. Such as 2-in-1 Mode for capturing 11" x 17" documents, and Continuous Scan Mode for scanning unlimited pages into a single file. Flexible Media Handling. 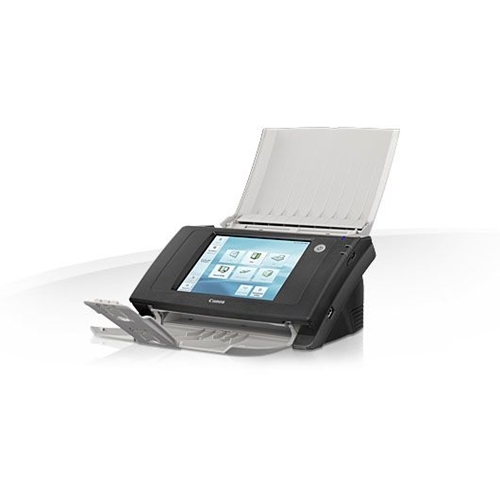 Easily scans documents, photos, receipts, business and embossed plastic cards. Bundled with a Valuable Software Suite. Including PDF editing, OCR, and desktop document management programs. Brother Solutions Interface (BSI) Integration. Allows developers to access Brother's internal web services to create custom solutions and enhance business workflows. Kofax VRS Certified. An industry leader in image processing software that automatically examines scanned materials and applies the appropriate image correction settings for optimal scan results.